This Easter, the newly animated Bugs Bunny’s Easter Funnies is the perfect treat for all the family. Oh, no! The Easter Bunny is a poorly bunny. Is there anyone who can take over those basket-busting, hippity-hoppity Easter morning rounds? Of course there is! To the rescue comes, everyone’s favourite bunny – Bugs Bunny. Though not so quickly... Sylvester, Pepe Le Pew, Foghorn Leghorn and a particularly pesky duck all want to get in on t.. It's Halloween, that creepy time of year when black cats, bats and rabbits come out to... wait a minute! Rabbits?!? You bet. And ducks, pigs and Tweety birds too, when Bugs Bunny and his buddies play tricks or treats on the pumpkinheadest witch in cartoons: Witch Hazel. Join the fun as Bugs gets the best of a bloodthirsty vampire while Porky Pig and Sylvester check into a haunted hotel with hot-and-cold-running spooks. Bugs takes a bubb..
Bugs Bunny and his merrymaking cohorts Porky Pig, Foghorn Leghorn and Tweety teach Ebenezer Scrooge (Yosemite Sam) a thing or two about the spirit of Christmas. Wile E. Coyote tries again to catch the ever-elusive Road Runner for dinner. Finally, the Tasmanian Devil puts a whole new spin on Santa Claus, as he visits Bugs and Nephew Clyde the night before Christmas. Any holiday entertainment that brings together the imaginations of Charl..
Collection of episodes from the children's animated TV series following the characters of Warner Brother's 'Looney Tunes' in their days as infants. The episodes are: 'All Washed Up', 'Did Not! Did Too! ', 'Tea and Basketball', 'Taz You Like It', 'Band Together', 'War of the Weirds', 'The Harder They Fall' and 'Business As Unusual'..
Bugs Bunny, Daffy Duck and the rest of The Looney Tunes are Back In Action in this live action, animation adventure. Daffy Duck, tired of playing second fiddle to Bugs, quits the Hollywood Studio and teams up with ex-stuntman Bobby Delmont (Brendan Fasier) in a mission to rescue Bobby's father Damian Drake (Timothy Dalton) from the evil chairman of the Acme Corporation (Steve Martin). It seems Damian knows there whereabouts of a mysteri..
Own Looney Tunes - Bugs Bunny - Truth or Hare Mug from Deff, DVD, Blu-Ray & 4K Video Specialists - Free UK Delivery..
Own Looney Tunes - Bugs Bunny Mug from Deff, DVD, Blu-Ray & 4K Video Specialists - Free UK Delivery..
Bugs Bunny Daffy Duck Porky Pig Road Runner Speedy Gonzales Taz Tom & Jerry (Jerry) Tom & Jerry (Tom) Tweety Pie Wile E. Coyote..
Own Looney Tunes - Coyote Mug from Deff, DVD, Blu-Ray & 4K Video Specialists - Free UK Delivery..
Own Looney Tunes - Daffy And Friends DVD from Deff, DVD, Blu-Ray & 4K Video Specialists - Free UK Delivery..
Own Looney Tunes - Daffy Duck Binoculars Mug from Deff, DVD, Blu-Ray & 4K Video Specialists - Free UK Delivery..
Own Looney Tunes - Logo Mug from Deff, DVD, Blu-Ray & 4K Video Specialists - Free UK Delivery..
Own Looney Tunes - Mug from Deff, DVD, Blu-Ray & 4K Video Specialists - Free UK Delivery..
Own Looney Tunes - Pepe Mug from Deff, DVD, Blu-Ray & 4K Video Specialists - Free UK Delivery..
Own Looney Tunes - Porky Pig And Friends DVD from Deff, DVD, Blu-Ray & 4K Video Specialists - Free UK Delivery..
Looney Tunes are back in this all-new animated adventure! The chase begins with a very rare flower that can turn anything invisible! When beautiful, bumbling perfume salesgirl Lola Bunny receives the flower as a gift (unaware of its power), she adds the magical ingredient to her latest perfume creation. With hopes that she has crafted the next big scent, Lola hails crazed cabbies Bugs Bunny and Daffy Duck for a hasty trip – destination,..
Own Looney Tunes - Road Runner and Friends DVD from Deff, DVD, Blu-Ray & 4K Video Specialists - Free UK Delivery..
Own Looney Tunes - Sylvester Mug from Deff, DVD, Blu-Ray & 4K Video Specialists - Free UK Delivery..
Own Looney Tunes - Taz And Friends DVD from Deff, DVD, Blu-Ray & 4K Video Specialists - Free UK Delivery..
Own Looney Tunes - Taz Mug from Deff, DVD, Blu-Ray & 4K Video Specialists - Free UK Delivery..
Own Looney Tunes - Taz Premium Devil Mug from Deff, DVD, Blu-Ray & 4K Video Specialists - Free UK Delivery..
Own Looney Tunes - Taz Retro Mug from Deff, DVD, Blu-Ray & 4K Video Specialists - Free UK Delivery..
Own Looney Tunes - Taz Woke Up Mug from Deff, DVD, Blu-Ray & 4K Video Specialists - Free UK Delivery..
Own Looney Tunes - Thats all Folks! Mug from Deff, DVD, Blu-Ray & 4K Video Specialists - Free UK Delivery..
Looney Tunes - Golden Collection - Volume 1 Looney Tunes - Golden Collection - Volume 2 Looney Tunes - Golden Collection - Volume 3 Looney Tunes - Golden Collection - Volume 4 Looney Tunes - Golden Collection - Volume 5 Looney Tunes - Golden Collection - Volume 6..
Own Looney Tunes - Tweety Mad Mug from Deff, DVD, Blu-Ray & 4K Video Specialists - Free UK Delivery..
Own Looney Tunes - Tweety Pie Mug from Deff, DVD, Blu-Ray & 4K Video Specialists - Free UK Delivery..
Own Looney Tunes - Tweety Pie Vintage Mug from Deff, DVD, Blu-Ray & 4K Video Specialists - Free UK Delivery..
Own Looney Tunes - Wile E Coyote Retro Mug from Deff, DVD, Blu-Ray & 4K Video Specialists - Free UK Delivery.. Cool, collected, carrot-chomping Bugs Bunny outsmarts all adversaries. 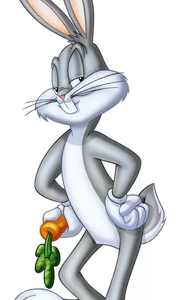 He's inordinately brainy and zany, an Academy Award winner for "Knighty Knight Bugs" and known the world over for his signature line "What's Up, Doc?" Episodes: Basketball Bugs Rabbit Seasoning Long-Haired Hare High Diving Hare Bully For Bugs What's Up Doc? Rabbit's Kin Water, Water Every Hare Big House Bunny Big Top Bunny Wabbit Twouble Ballot Box Bunny ..
Collection of episodes from the first season of the children's animated show following the cat and mouse rivals in their days as infants. The episodes are: 'Flippin' Fido/Dakota Droopy and the Lost Dutch Boy Mine/Dog Daze Afternoon', 'Toys Will Be Toys/Droopy Delivers/My Pal', 'Prehistoric Pals/Super Droop and Dripple Boy Meet the Yolker/Marvelous Marvin', 'Bat Mouse/Puss n' Pups/Outer Space Rover', 'The Vermin/Aerobic Droopy/Mouse Scou..
Best of Bugs Bunny Bugs Bunny in his most hare-larious 14 cartoons Best of Daffy and Porky One's di-thpicable. One's de-de-delightful. Together they're irresistible - in 14 cartoons! All Stars Volume 1 An all-star cast in their looney-est 14 cartoons!.. Own Looney Tunes - Dafft Duck Mug from Deff, DVD, Blu-Ray & 4K Video Specialists - Free UK Delivery..
Own Looney Tunes - Elmer Fudd Mug from Deff, DVD, Blu-Ray & 4K Video Specialists - Free UK Delivery..
Own Looney Tunes - Foghorn Leghorn Mug from Deff, DVD, Blu-Ray & 4K Video Specialists - Free UK Delivery.. The vaults are open and gold spills out: 56 top Warner Bros. animated shorts are now rounded up on DVD for the first time ever. Barely contained in 4 solidly-packed discs, they've been restored and remastered to their original, anvil-dropping, laughter-inducing glory! It's a one-of-a-kind celebration of the golden age of Warner Bros. animation. One disc focuses on carrot-crunching icon Bugs Bunny, another on the anarchic Daffy Duck and..
Own Looney Tunes - Pepe Le Pew Mug from Deff, DVD, Blu-Ray & 4K Video Specialists - Free UK Delivery..
Own Looney Tunes - Roadrunner Mug from Deff, DVD, Blu-Ray & 4K Video Specialists - Free UK Delivery..
Own Looney Tunes - Sufferin' Succotash Mug from Deff, DVD, Blu-Ray & 4K Video Specialists - Free UK Delivery..
Own Looney Tunes - Tweety Mug from Deff, DVD, Blu-Ray & 4K Video Specialists - Free UK Delivery.. Created by legendary animator Chuck Jones, the series had a simple premise: The coyote, who was very hungry, tried to catch the Road Runner, who was very fast. Wile E. would try anything to catch his prey, utilizing a wide variety of products from the Acme Company (rocket skates, giant magnets, foot springs, etc.) Regardless of the scheme, it would always backfire, and Wile E. would end up trapping, flattening, or blowing himself up. Th..
Own Looney Tunes - Wile E. Coyote Mug from Deff, DVD, Blu-Ray & 4K Video Specialists - Free UK Delivery..